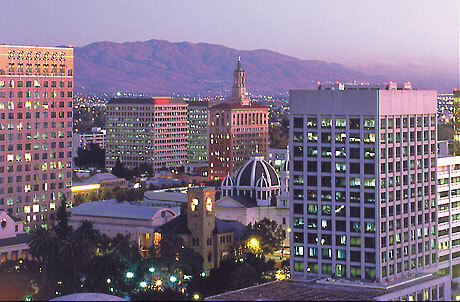 San Jose is at the southern end of the Silicon Valley technology hub. It is a city in its own right, about 60 miles south of San Francisco. The downtown has a lovely historic district of late 1800s buildings. The area is surrounded by hills. 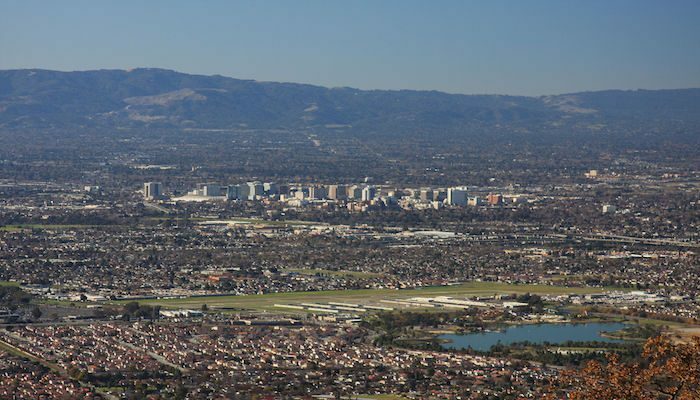 Our guide to running in San Jose, California is a continuation of our major Silicon Valley running guide. The two running highlights are the Guadelupe River Trail, a 9 mile path from downtown to the Alviso trails near the water. It’s worth the 15 min. drive to Alviso Park for some wonderful Baylands Trails running. 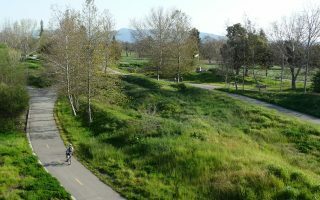 The Los Gatos Creek Trail starts just south of San Jose and heads toward Los Gatos. 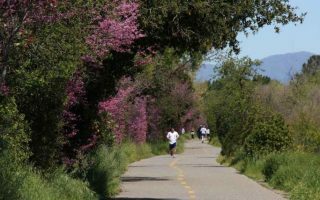 There are also several great running options south of San Jose: Hellyer Park & Coyote Creek Trail, The Los Gatos Damn Trail, Alum Rock Park, and Quicksilver Park. 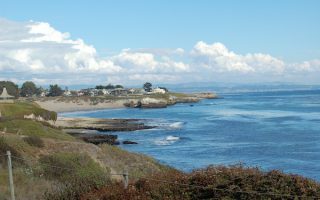 For some wonderful coastal running, head 30 miles south to Santa Cruz, where we’ve mapped wonderful routes by the ocean, along cliff-top meadows, and several trails through redwood forests. 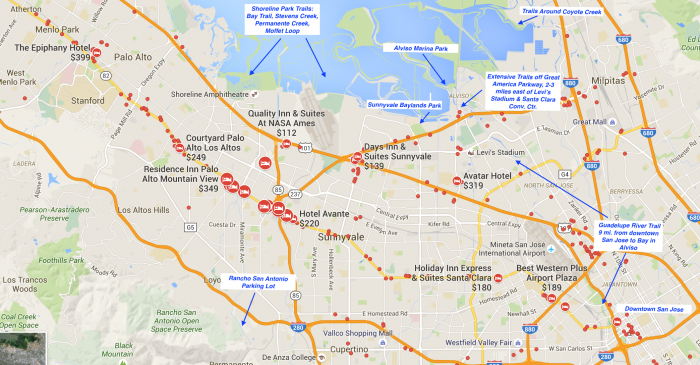 If you are staying right in San Jose, you can live without a car but will be limited to the trails near downtown. To access the parks and trails south of the city, a car is needed or you could Uber it. For additional running options, heading north, see Great Runs in Silicon Valley. Includes routes in Santa Clara, Mountain View, Palo Alto, and all the way to SFO. We’ve also got tons of coverage of San Francisco, the East Bay, and down south to Santa Cruz and Monterey/Carmel. Click on the boxes below! 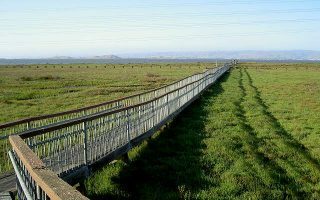 On the eastern shore between Palo Alto and San Jose, this remarkable series of trails and parks incorporates a series of undisturbed tidal marshland (Sloughs) called the Baylands. See our detailed description of the three major sections. A nearly 10-mile paved bicycle and running path that starts 3 miles south of San Jose, meandering through several parks and into the hills of Los Gatos. There are options to run on either side of the creek in parts. A 9-mile bike path that runs along the Guadelupe River from the heart of downtown San Jose, through Silicon Valley, to San Francisco Bay. 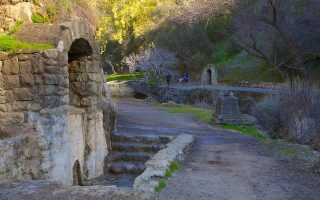 Descriptions and maps of several great running options near San Jose: Hellyer Park and Coyote Creek Trail, Los Gatos Dam Trail, Alum Rock Park, and Quicksliver Park. San Jose weather is fantastic. 300+ sunny days a year, and rarely too hot or humid. Note there can be a lot of variation in the weather within a small geography. Toward SFO and the east bay, the weather can be ‘San Francisco like’: chilly, windy, and foggy; whereas in the “interior” and further south toward San Jose it is warmer and sunnier. There is never snow and temps rarely fall below freezing. There can be stretches of rainy days in the winter, and hot days in the summer, especially inland. 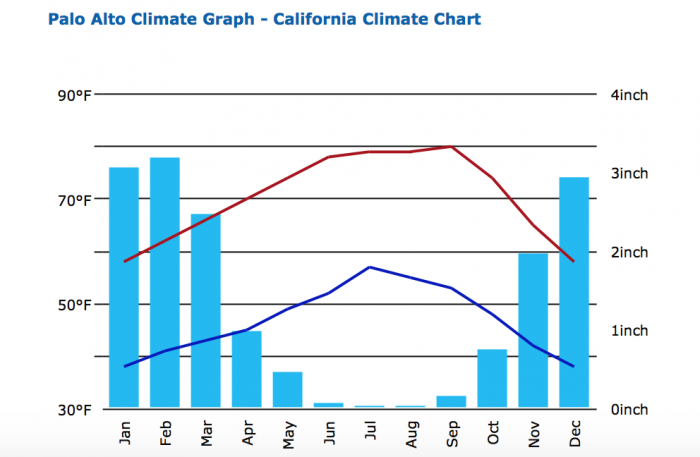 There are micro climates — it can be 20 degrees warmer just a few miles inland from the Bay. There are lots of hotels downtown and near the airport. Athletic Performance. Close to downtown San Jose. Another location in Los Gatos. Group Run Schedule. New Balance Store. Closest running store to tech companies, Levi’s Stadium, Google. Off Rt. 101 at G4 exit. Road Runner Sports. Off Rt. 17. Group Runs Tuesday evenings. Running Revolution. Indy store off Rt. 17. A bit off the beaten track. Group Runs Mondays 6pm. Fit Geek Sports. Great shop near Apple and De Anza College. Nike Running Store. In Standford Shopping Ctr. Zombie Runner. Trail store & espresso bar. Off Rt. 82 near Stanford Univ. San Jose Rock n Roll Half Marathon. Early October. Biggest race in San Jose. Color Me Rad San Jose. Unique 5k with color being rained down on you.